“Access to Resources and Technology” is the focus theme for the 3rd Wood Industry Summit , which will be held in Hall 26. Organized by Deutsche Messe in partnership with the German Forestry Council (KWF), it is an international dialogue and technology showcase comprising a forum, lounge and exhibition area. Its purpose: to help visitors access new growth markets. For the first time, the summit will also feature the “Future Workshop for Forestry & Wood” showcase – a group pavilion for startups that is inspired by the German government’s “Charter for Wood 2.0” policy. 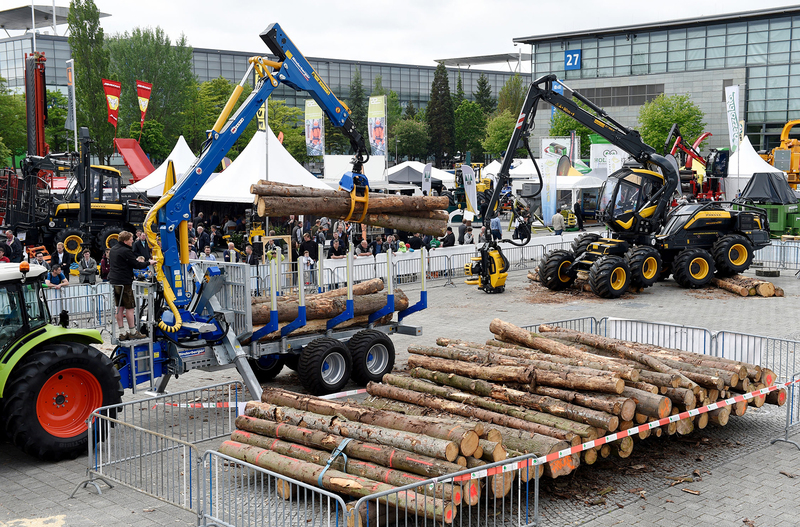 In 2019, for the first time, Deutsche Messe and the German Woodsmen’s Championships Association (VWMD) will be co-staging the German Logging Championships – the “Formula 1” of forestry skills – on the open-air site at LIGNA. At the 14th German Logging Championship , Germany’s best 100 or so forestry professionals will demonstrate their chainsaw skills under the watchful eye of an expert panel of judges. The contestants’ endurance, handling skills and precision will be put to the test in five disciplines: tree felling, chain fitting, combined cut bucking, precision bucking and delimbing. Among the more spectacular events on the open-air site are the Lower Saxony Crane Driving Championships and the Women’s Crane Driving Cup . Held on the Thursday of LIGNA, they offer a thrilling mix of big-machine mastery, sport and entertainment. These two must-see events are organized by the Lower Saxony School of Forestry, Münchenhof, and the German Association of Forestry Contractors (AFL), with support from Deutsche Messe.